From November 1st to 11th, all EMS members are encouraged to wear a poppy in memory of the brave men and women who have fought to protect the freedoms that we are lucky to take for granted. 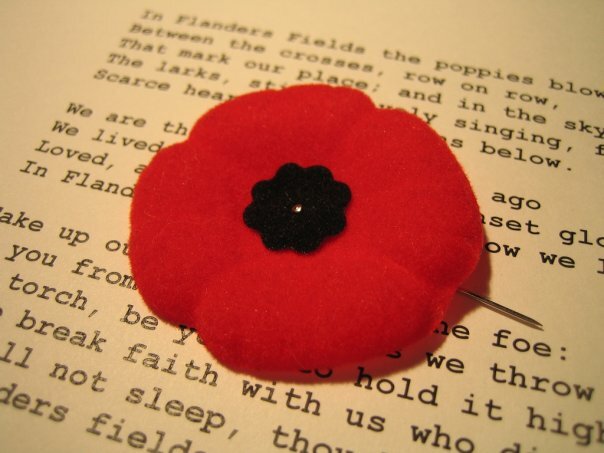 When you see a vet, drop a few coins in the pot and proudly wear a poppy. It is worn on the left breast of the uniform. In addition, on Thursday, November 11th — Remembrance Day — a small ceremony will be held at the Côte Saint-Luc cenotaph in Veteran’s Park next to the Library. All EMS members are welcome to participate. Participants should arrive around 10:30 AM. Posted in Uncategorized on October 29, 2010 by Jordy Reichson.